Former Renault design chief joins long list of designers. Former Renault design chief Patrick le Quement is the Lifetime Design Achievement award winner for the 2015 Eyes on Design. Each Father’s Day, as many as 300 cars get parked in the front yard of one family in Grosse Pointe Shores, Michigan, a suburb of Detroit. Massive prank? Nope. It’s the annual Eyes on Design car show that raises money for charity and honors someone who has impacted auto design. This year, Patrick le Quement is the 2015 recipient of the Eyes On Design Lifetime Design Achievement Award. The award is given annually by the Detroit Institute of Ophthalmology, which benefits from the show, as part of the annual Eyes on Design week. The show is held on the lawn at the Eleanor & Edsel Ford House and features a theme each year. 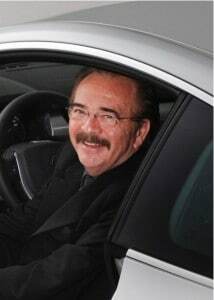 Le Quement was the senior vice-president of corporate design at Renault from 1995 to 2009 and was chairman of the joint design policy group coordinating design within the Renault-Nissan alliance. The EyesOn Design Lifetime Achievement Award is unique in that only previous winners of the award make the annual selection. Previous winners include: Peter Schreyer, Wayne Cherry, Chris Bangle, Walter de’Silva, Tom Gale, Giorgetto Giugiaro, Chuck Jordan, Shiro Nakamura Sergio Pininfarina, Jack Telnack, Nuncio Bertone and Willie G. Davidson of Harley-Davidson as well as executives with a flair for design, such former General Motors Vice Chairman Robert Lutz. At Renault, le Quement oversaw the design of striking vehicles such as the Twingo, Scenic, Espace III and IV, Laguna II, Kangoo, Megane II and many other production and concept cars, the organizer of the annual award said. Before joining Renault, he held top design positions with Volkswagen, Audi and Ford Europe, where he styled the Ford Cargo and helped design the influential Ford Sierra. A graduate of Birmingham City University in England, he is now a consultant in industrial and strategic design and the co-founder of the Sustainable Design School in France. The 2015 Eyes On Design Lifetime Design Achievement Award will be presented to le Quement at a black tie gala in metro Detroit on June 19, 2015.